If this isn’t some ‘sick publicity stunt’….which I doubt……Dude got PLAYED. 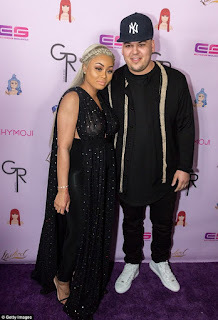 While I don’t support disloyalty of any kind, especially when the person virtually fought the whole world for your sake only for you to make a fool of the person, Rob Kardashian has to be called out and accountable too. He has a pattern of shaming his exes…..especially when they leave him. 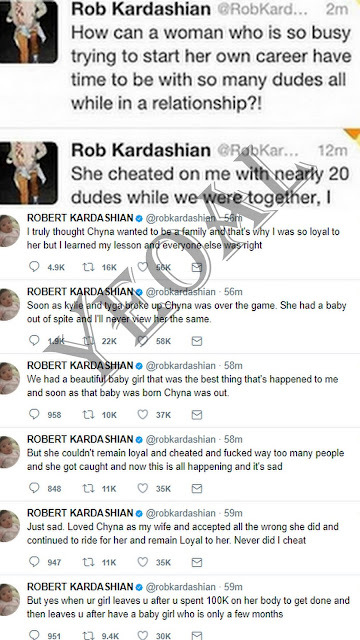 He did it to Rita Ora when he alleged years back that she slept with20 men. Read it here if you don’t know the gist. Like I said, he was played…but he would have been a man and taken the high road……after all, there is a child involved…….And she should be the most important thing in this equation.